The violin is a stringed musical instrument comprising four strings tuned a fifth apart. It is the smallest and highest-tuned member of the violin family of string instruments, which also includes the viola, cello and double bass. 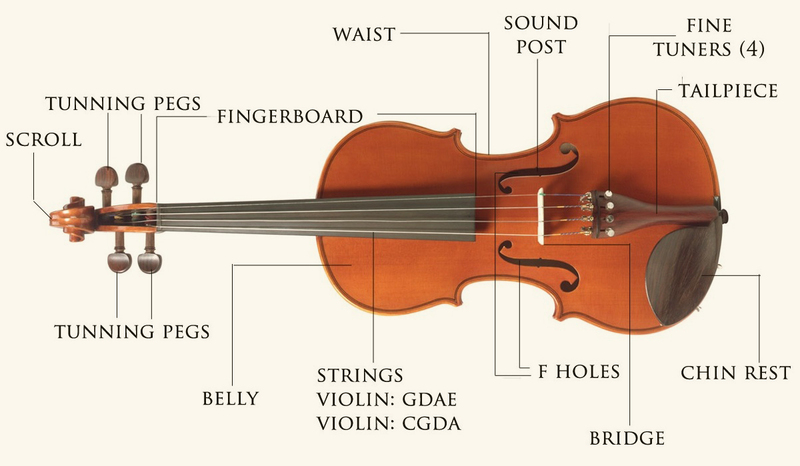 The violin is played by using the right hand to draw the bow at right angles across one of the strings, near the bridge, causing the string to vibrate. Pitch is controlled by selecting the string that the bow contacts (by altering the vertical angle of the bow), and by regulating the sounding length of that string by pressing it down onto the fingerboard with one of the fingers of the left hand. 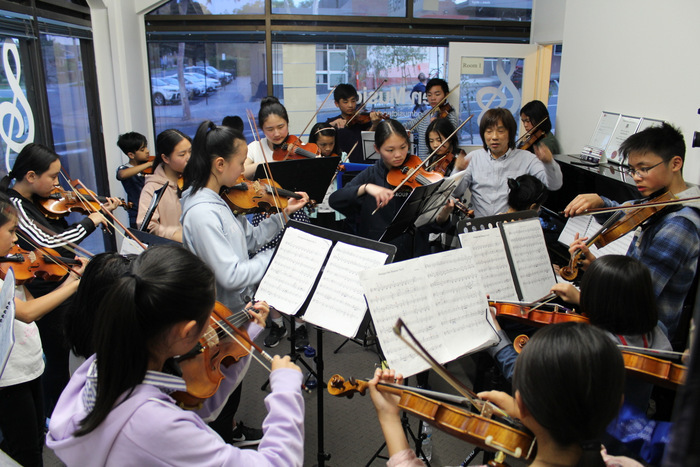 Violins are important instruments in a wide variety of musical genres. They are most prominent in the Western classical tradition, both in ensembles, from chamber music to orchestras, and as solo instruments and in many varieties of folk music, including country music, bluegrass music and in jazz. 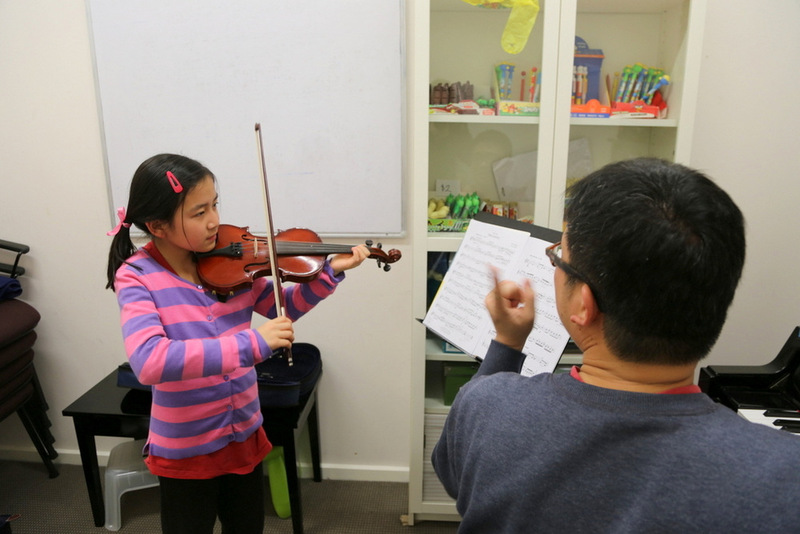 Find out more about our Violin teachers here!